All are welcome to this special book launch, hosted by Professor Pamela Cox at the University of Essex. A story of love and loss, of enduring friendship and unreliable memory, A Perfect Marriage is an enthralling new book from the bestselling author of Stillwater Creek. The novel is also a tale of redemption, of new hopes and fresh beginnings. Sally Lachlan has a secret that has haunted her for a decade – perhaps it is time to let it go. A chance meeting with the charismatic geneticist reawakens her desire for love and at the same time her daughter shows signs of wishing to know more about her father. Both the past and the future are places Sally prefers not to think about, but if she wants to find happiness, she will first have to come to terms with her long-ago marriage. Only then will she be able to be honest with her daughter. And herself. 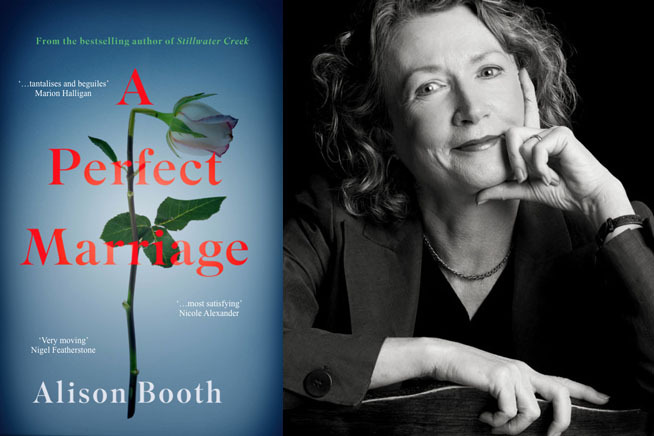 A professor at the ANU who spent many years at the University of Essex, Alison Booth has published three novels, Stillwater Creek, The Indigo Sky, and A Distant Land. These have been described as ‘A finely observed historical drama’ (The Age); as capturing ‘the heart and soul of a time … you can practically smell the eucalyptus, and picture that titular indigo sky,’ (Australian Bookseller & Publisher); and ‘ I found myself engrossed in the drama of Zidra’s investigation…all the way to the final page’, (Canberra Times).